The Bombardier CRJ900 type rating is designated under the CL-65 type rating designation which is the type rating designation for all the CRJ series aircraft, except the CRJ1000 which has its own type rating. CRJ900 type ratings are offered by many companies around the world. Bombardier operates their own type rating programs and is the official provider of the Bombardier CRJ900 type rating. Other providers of the CRJ900 type rating also include CAE, FlightSafety, Lufthansa, other airlines and companies around the world. Most type ratings for regional aircraft cost around $20,000 USD +-. Currently we have not seen any specific pricing for the CRJ900 type rating. "Areas of Emphasis - The FSB has identified several airplane systems and/or procedures that should receive special emphasis in an approved... [Bombardier CRJ900 type rating] training program. Landing with Ground Lift Dumpers (GLD) not deployed. 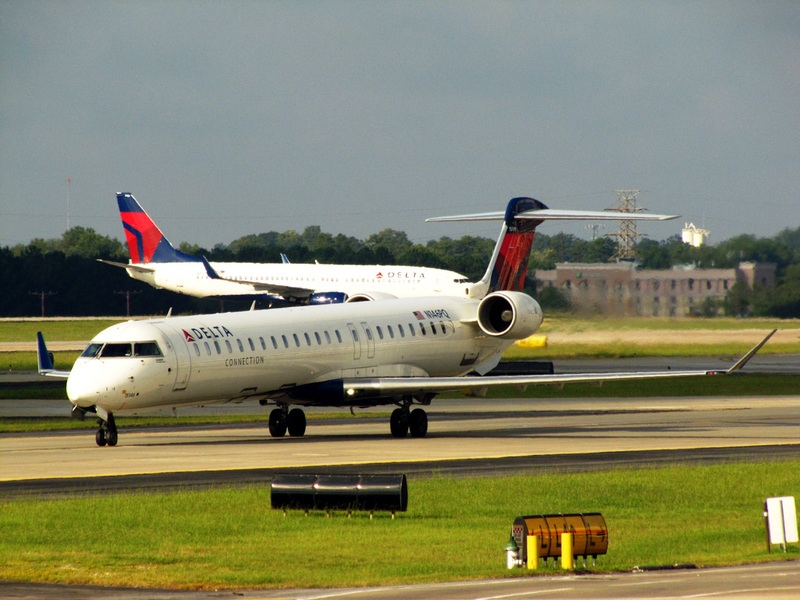 Above Bombardier CRJ900 Type Rating page photo of a Delta Connection CRJ900 at Hartsfield-Jackson Atlanta International Airport ICAO: KATL by redlegsfan21 on Flickr. Photo (only) released under a Creative Commons License. The Bombardier CRJ900 Type Rating is also called the Bombardier CRJ9 Type Rating, Bombardier CR9 Type Rating, Bombardier CL-600-2D24 Type Rating, Canadair CL-600-2D24 Type Rating, Bombardier CRJ 900 Type Rating or the Canadair Regional Jet 900 Type Rating due to the various names for the CRJ900 jet.